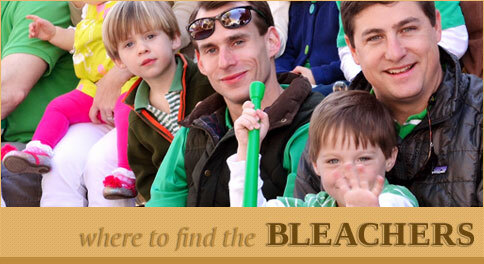 Welcome to the Savannah St. Patrick's Day Parade Committee website. We share this celebration of our faith, heritage and family with hundreds of thousands of visitors from all around the City, State, this great Country and from other countries as well. Many members of our Committee work very hard throughout the year in putting this Parade on the street. 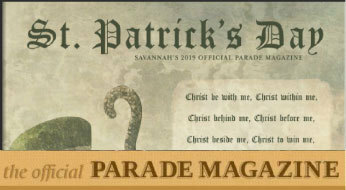 For the “Savannah Irish,” this great Parade represents a culmination of weeks of festivities and Irish heritage functions. Beginning with the Irish Festival in mid February every year, the City begins to get a taste of the rich history of the Irish population here in Savannah. Continuing on with the Investiture of the Grand Marshal on the very first Sunday of every March, the Committee is in full preparation mode for the Parade. In the days that follow, The Greening of the Fountain in historic Forsyth Park symbolizes how the entire City “turns green” in support of the upcoming Parade. Later on, our personal favorite, the Celtic Cross Mass, parade and ceremony is usually celebrated on the Sunday before the parade every year and this is how we personally feel Saint Patrick’s Day was originally celebrated nearly 200 years ago. And finally, the Saint Patrick’s Day Parade that we present to you as a celebration of our faith and heritage every March 17th. We celebrate today with 12 different Irish heritage organizations, numerous Irish families, the men and women serving in uniform, and our many sponsors and supporters. First and foremost, the Saint Patrick’s Day Parade Committee celebrates this great day in honor of Saint Patrick. Mindful of this, we will begin the day by attending Mass with our Grand Marshal, his Aides, our families and our many friends. 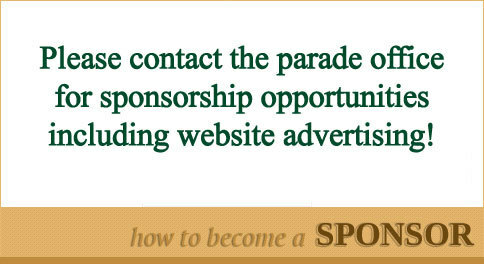 The Parade that follows is a celebration of our Irish heritage and pride. We continue the grand tradition of this celebration and adhere to the values that have made what Saint Patrick’s Day in Savannah has become over the past 194 years. The Saint Patrick’s Day Parade Committee could not put this parade on the street without the tireless efforts of its members, the Executive Committee and the Adjutant Staff. 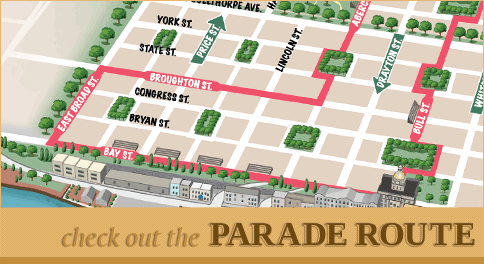 We wish to thank the City of Savannah, Chatham County, the Savannah – Chatham Metro Police Department and all of the other law enforcement officers and emergency personnel involved with parade planning and management. Most of all the Committee wishes to acknowledge that the freedom we possess to parade through the streets of Savannah is only possible because of the men and women who have served, and continue to serve, in the armed forces of the United States of America. We thank you for your service. Thank you again for celebrating this great day with us. Happy Saint Patrick’s Day to you and your families, and may God’s grace continue to be upon us all. May St. Patrick guard you wherever you go, and guide you in whatever you do. And may his loving protection be a blessing to you always.